Kalanchoe millotii is a member of the crassulaceae family. It is a n ornamental succulent plant that is native to Madagascar. Since it is not particularly cold hardy, it is grown as an indoor plant in most areas of the country. This tender succulent will only tolerate a light frost. 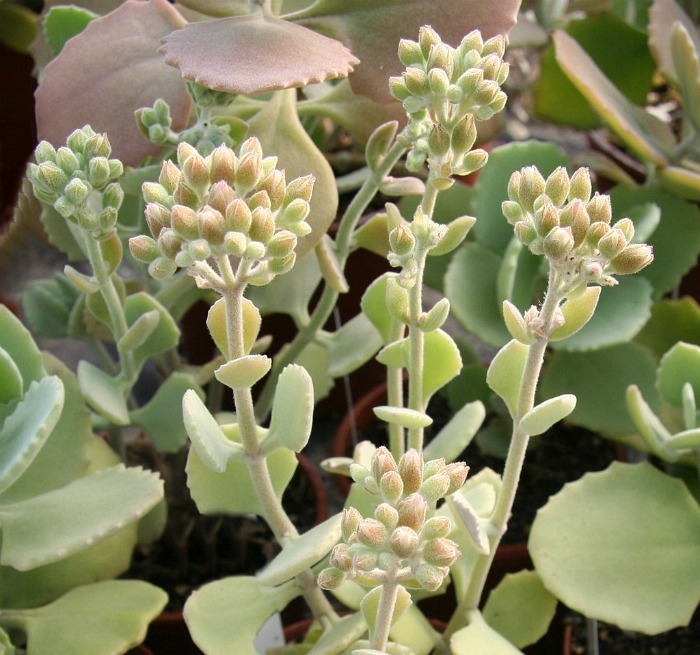 It is only hardy to about 36-40 degrees, but grows well indoors as an ornamental succulent house plant. For another pretty kalanchoe variety, try Kalanchoe Blossfeldiana, also known as florist kalanchoe. It has very long lasting flowers. This post contains affiliate links for your gardening convenience. 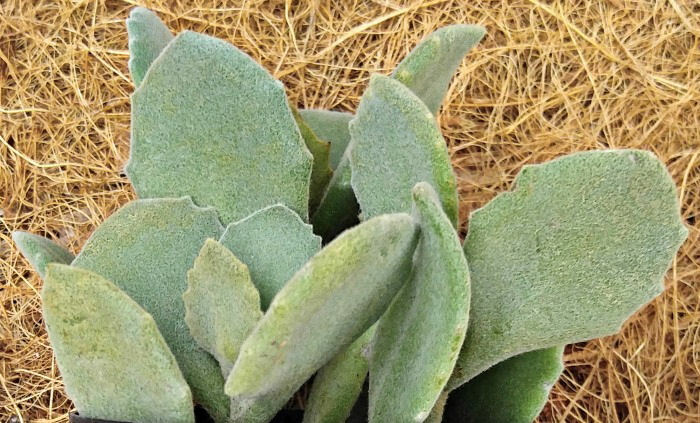 Small kalanchoe millotii plants have a dense, bushy growing nature but as the plant grows, it develops a branching habit. It will grow to about 1 foot tall. 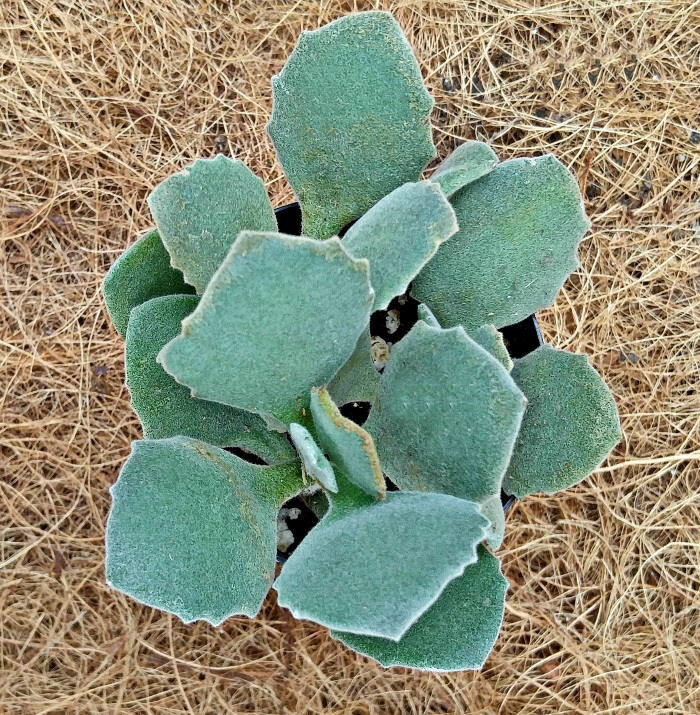 The leaf of kalanchoe millotii is light green color and has a pretty scalloped edge. The texture of the leaves is slightly fuzzy. Like most succulents, Kalanchoe millotii needs lots of sunlight. If you grow it indoors, place it in a south facing window in the winter months and move it to an east or west facing window in the summer. Plants that don’t get enough sunlight will tend to be tall and leggy as the plant reaches for the light. If this happens move it to a more sunny location. Outdoors, Kalanchoe millotii does well in full sun to light shade. Really intense sunlight can scorch both indoor and outdoor plants. Kalanchoes grow best in a well draining potting soil. You can use a special cacti and succulent soil or make your own using 40% perlite and 60% peat moss. Re-pot the plant after flowering into a larger pot. Water kalanchoe millotii thoroughly and then let the plant dry out a bit before adding more water. Once a week should be plenty in the growing season. Hold off on watering more in the winter months. The flowers of this ornamental succulent are tiny and numerous. The plant has small flowers that sit in clusters on long stalks above the plant. They are small, white and pestiferous. When the open up, the shape is like a tiny daisy. 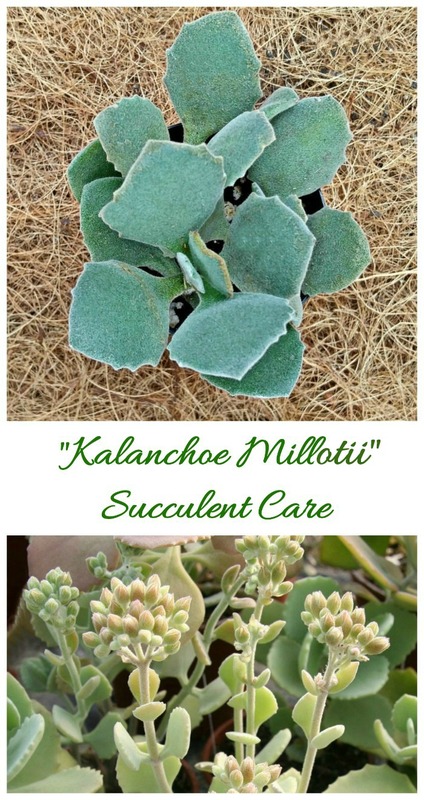 Kalanchoe millotii is commonly grown as an ornamental indoor succulent. If you live in the warmer zones, the plant us useful as rock or succulent garden plants. 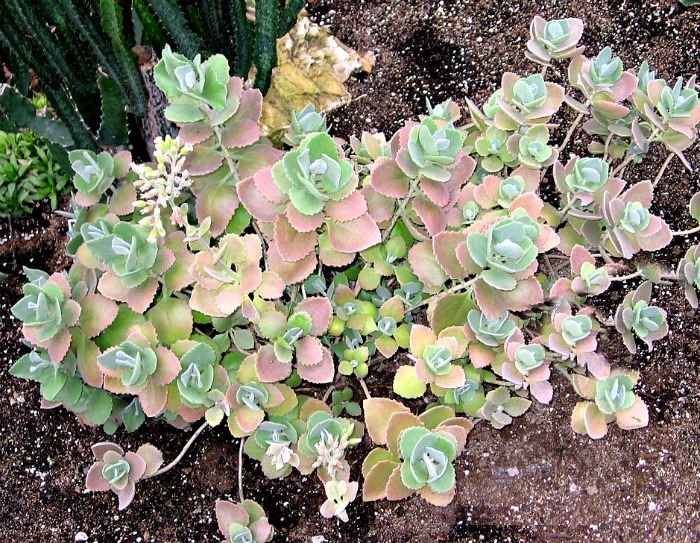 The most common method of propagation of this succulent is through leaf cuttings. Remove the leaves and allow them to dry out slightly. Place the leaves either on the soil, or insert the tip into the soil. Small plantlets will soon grow. Keep the potting mix evenly moist but never really wet, or the leaves will rot. A plant mister is a good way to water the cuttings. Bright, indirect sunlight is best for succulent plant propagation. When they get roots and are larger, plant them in very small 2″ pots, and water lightly. The roots of most succulents are small and over-watering is easy to do, if the pot is too large. Re-pot when the plant is larger and the roots fill more of the pot.